“Queen of SICW” WyldeFyre gets the news that Miss Monica is RETURNING! MWR Editors note: This title for the post was sent to us via Curtis Wylde and does not reflect the thoughts of the MWR staff. Just got off the phone with Herb Simmons!! He has informed me that even though we sent them back to Italy in a “Loser Leaves SICW” match… the new year has brought an end to that clause, and Miss Monica is returning to SICW! He wants to bring her back… That’s FINE!! 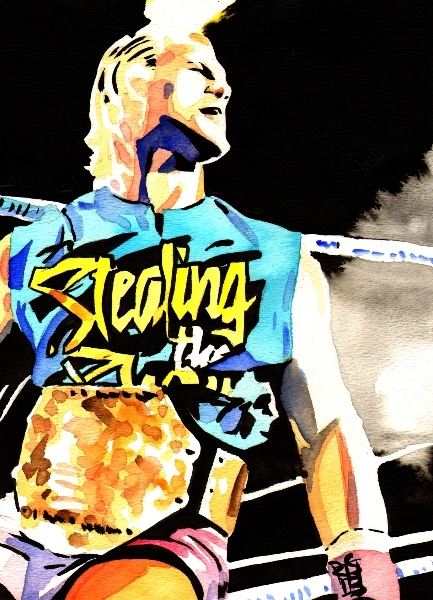 Because before I was the “Number 1 Ginja”, and the “Uncrowned Midwest Manager of the Year“… I was a trained Professional Wrestler! So, April 29th in Millstadt, IL. 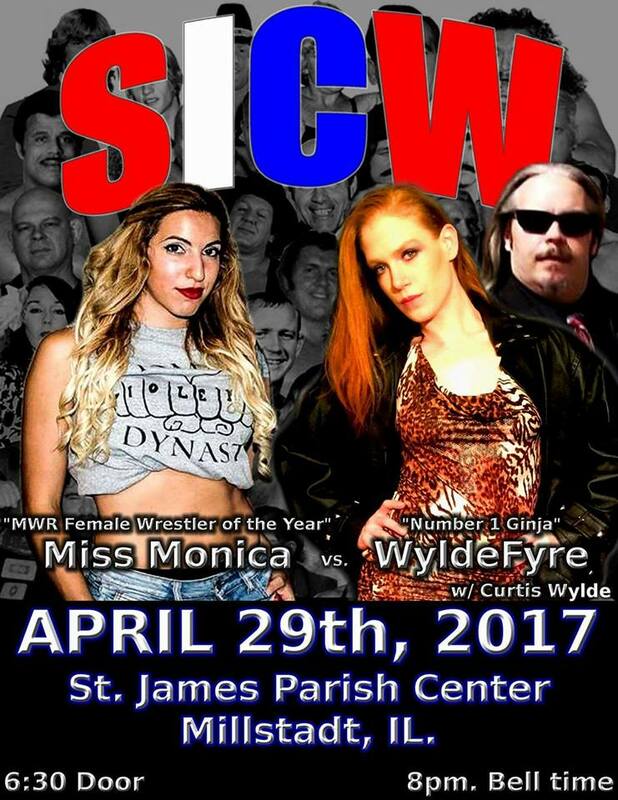 The self-proclaimed “MWR Female Wrestler of the Year” Miss Monica will be going 1 on 1 with the “Queen of SICW“, the “Lioness of the Lou“… WyldeFyre! And I’m going to send Miss Monica BACK to Italy… again! This entry was posted on April 17, 2017 at 6:26 pm	and is filed under Uncategorized. Tagged: Herb Simmons, Miss Monica, Miss Monica Passeri, SICW, WyldeFyre. You can follow any responses to this entry through the RSS 2.0 feed. You can leave a response, or trackback from your own site.